The Opel/Vauxhall Zafira will look quite a bit different from this come late 2016. 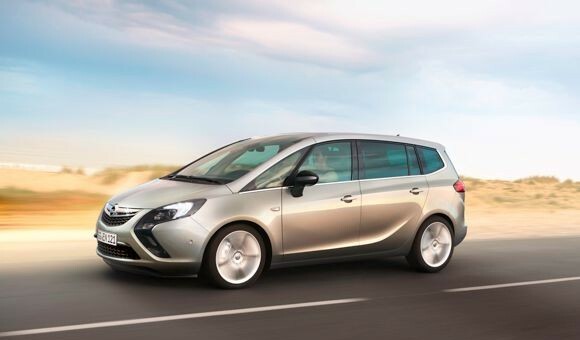 It’s been well-documented that GM’s Opel division plans on shuttering its Bochum, Germany assembly plant by 2016, effectively ending production of the Zafira Tourer MPV (pictured) that’s built there, and slashing some 3,000 jobs. But at least 2016 was far out enough to give everyone time to prepare. Unfortunately, that window may be cut by two years, as GM Vice Chairman Stephen Girsky said production may end at the end of 2014, unless unions agree to further concessions, according to reports. As it stands, Opel’s current labor deal with the Bochum plant’s union spans to January 1, 2015. Additionally, executives are currently in talks with union heads from the factories of Bochum, Eisenach, Kaiserslautern and even the Ruesselsheim headquarters to discuss their futures. Executives seem to be unrelenting in their plan for Opel to turn a profit by mid-decade, which includes shutting down Bochum. Moves like this make sense. Its just a start at reducing chronic overcapacity in Europe. Only one month after having officially confirmed a half year old decision to now “really” shut down Bochum in 2016 they have to reopen this can of worms again and kick another serious dent into customer confidence for Opel by advancing it to 2015 or 2014 or…? Maybe ” Brand management for dummys” should be on the GM managers readlist. They don’t get it.